#Budget2019: The eagerly-awaited Budget, 2019 is all set to be presented on February 1, and will surely be an interesting one. With just a few days to go, there are widespread speculations on what the government has in store for the corporates. Despite being an interim budget, it is expected to be prudent and in favour of the masses. 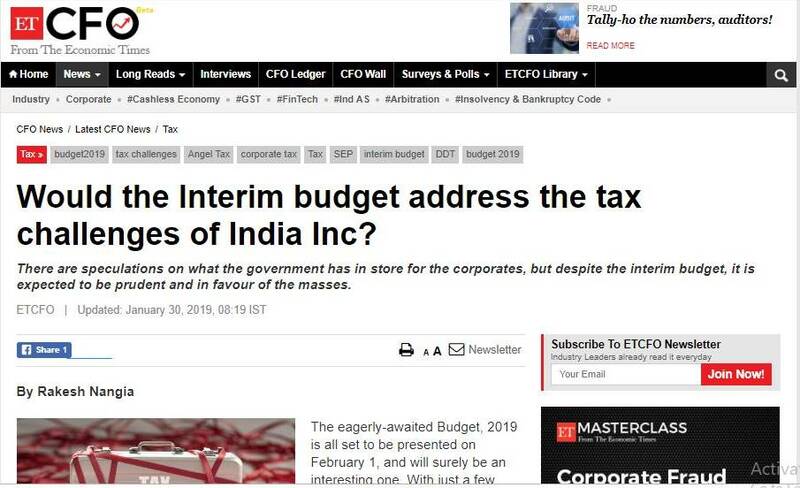 Rakesh Nangia, Managing Partner contributed an article on Would the Interim budget address the tax challenges of India Inc for ET-CFO. Copyright © 2018, Nangia Advisors LLP All rights reserved.